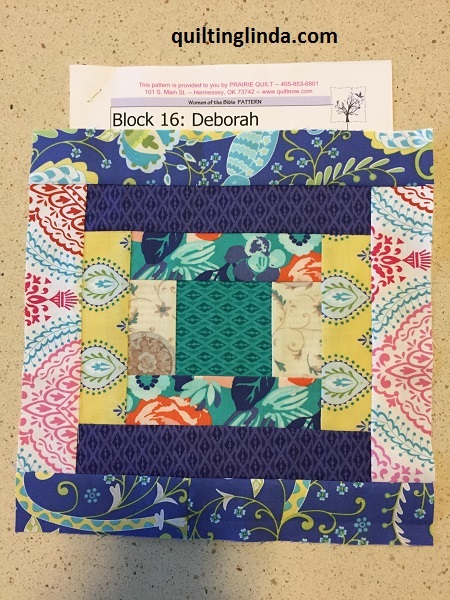 The next two blocks for the Women of the Bible sew-along are Deborah and Miriam. Miriam was the sister of Moses. She hid him in a basket in the river when Pharaoh ordered the death of all male Hebrew babies. The name of the block used to represent Miriam is mosaic. Deborah was a respected judge of Israel. The name of the block for Deborah is Courthouse steps. I may remake this block as I am not really happy with my fabric choises. 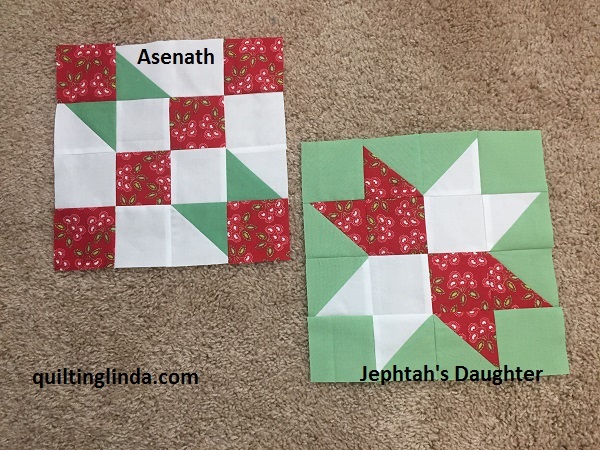 A link to these blocks can be found here. I watch the Fons and Porter show that is broadcast on Saturday mornings here in Columbus. A couple of weeks ago they used a template from Fons and Porter to make a quilt called Orange Peel Two-Step. It was also featured in their magazine in the March/April issue. 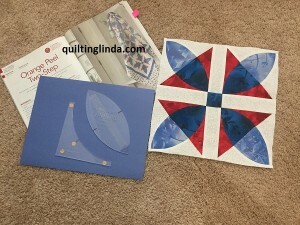 I looked up the pattern in my magazine and then ordered the template. It is curved piecing similar to a Drunkard’s Path block. In the TV show, they pieced strips of fabric before cutting the pieces with the templates. 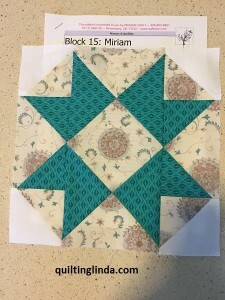 A pieced background is then sewn on both sides of the melon shaped piece. I loved how the different shades played out in the block. When my templates arrived this week, I had to try it out. I used fabric from my scrap bin and a couple fat quarters. I enjoy sewing curved pieces and have made several drunkard’s path quilts in the past.